Here at our location in the Riverside Lincoln area of town, we enjoy helping our customers to drive more safely. Nowadays, many drivers choose to operate SUVs in hopes of increasing their safety margins. While this effort is a good start, it is also important for the drivers of such vehicles to know how to handle them if they offer 4 x 4 drive capabilities. The popular performance vehicle called the 2019 Lincoln MKC makes it easy for drivers to keep control. It boasts a long list of useful safety equipment that includes adaptive cruise control and intelligent all-wheel drive stability. The 2019 Lincoln MKC adaptive cruise control system can give drivers more freedom than ever before. MKC drivers can input preset distance limits into their active cruise control systems. Top performance stands out as just one of the many top features of the Lincoln Nautilus around Macon. While getting up to an EPA-estimated 25 MPG on the highway, the available Twin-Turbocharged 2.7L V6 explodes with 355 horsepower and 380 lb.-ft. of torque. You gain more responsiveness and an agile feeling with available Adaptive Steering that adjusts based on driving conditions. 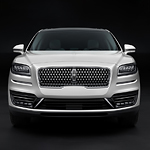 When Lincoln made the popular Lincoln MKX crossover, the company made sure to include a number of design features that have set the vehicle apart from others. 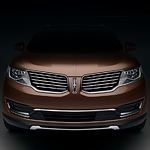 At Riverside Lincoln, we've seen a lot of cars, and we feel that the Lincoln MXK offers a lot of unique advantages that can make it an attractive option for customers in Macon. Macon drivers who want a refined vehicle that's capable of delivering an exhilarating driving experience should take a look at the new Lincoln Continental. This popular luxury car is available at Riverside Lincoln with a powerful engine and innovative performance technology. 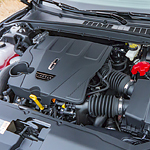 Lincoln Continental models are equipped with a 3.0-liter V6 engine. It's a robust piece of machinery that's engineered to provide you with 400 horsepower. When it comes to torque, you can expect to get about 400 pound-feet. The engine is powerful enough to dominate any path with ease. While many have thought the Lincoln MKZ is for an older generation, the latest styling of the sedan has made it much more luxurious inside, and the technology package is quite amazing even in the standard model. With a laundry list of interior features, it is SYNC 3 and the 8-inch touchscreen that stand out the most in the package. You’ll also get an 11-speaker audio system, rear parking sensors, rearview camera, push-button start, and proximity key. There are also several new safety features for those who want to use voice-activated controls.